1) On or around 1 July 2015 GMB breached section 47 (1) of the 1992 Act in that the Union’s by-law 13 relating to the Election of General Secretary and Treasurer 2015 prevented Mr Henderson, and other lay members of the union, from contacting branches to advise them of their intention to stand as a candidate in the election for the post of General Secretary and Treasurer. 2) On or around 1 July 2015 GMB breached section 47 (1) of the 1992 Act in that the nomination period of 8 weeks was insufficient for intended nominees to gain the required nominations from 30 branches and was insufficient for branches to arrange and hold meetings to decide upon whether to support a given individual’s nomination. 3) On or around 1 July 2015 GMB breached section 47 (1) of the 1992 Act in that the Union’s London Central X58 branch was not provided with the necessary papers/information for the election of General Secretary and Treasurer, including the nomination form, until 3 weeks into the nomination period which curtailed the 8 week nomination period thereby leaving insufficient time to write to branch members, arrange a suitable date for a nomination meeting, arrange a venue and give reasonable notice to members of such a meeting. 4) On or around 1 July 2015 GMB breached section 47 (1) of the 1992 Act in that the Union did not provide sufficient information that the election of General Secretary and Treasurer was being held and, in particular, most members did not know of the 22 June to 17 August 2015 nomination period as no written notification to the membership was allowed and there was no notification on the Union’s website. 5) On or around 30 June 2015 GMB breached the Union’s by-law 13 in that Regional Secretaries Tim Roache, Paul McCarthy and Paul Maloney and National Secretary Gary Smith contacted the Morning Star newspaper directly or indirectly which published an article stating that these Union officials were seeking nominations from the GMB branches for the election of General Secretary and Treasurer. This article constituted the issuing on behalf of candidates in the election of a text, circular or other material (whether written, typed or printed and whether communicated electronically or otherwise), other than an election address according with by-laws 6 to 12 inclusive, and so was prohibited under by-law 13. Grass Roots Left has had various objections from those opposed to Keith Henderson using the ‘bourgeois courts’ against opponents in the Labour movement because this, they say, it is ‘unprincipled’ and is apparently an attack on ‘democracy’. We totally reject this charge. 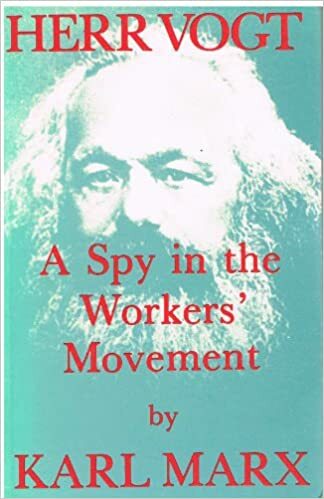 In 1860 Karl Marx published a pamphlet Herr Vogt: A Spy in the Workers’ Movement where he recounts how he used the ‘bourgeois courts’ to expose a state agent. In this instance the use of the Certification Officer to restore some measure of democratic rights to the membership of the third biggest union in Britain is certainly justified and will be understood by all serious socialist and militants in that light.